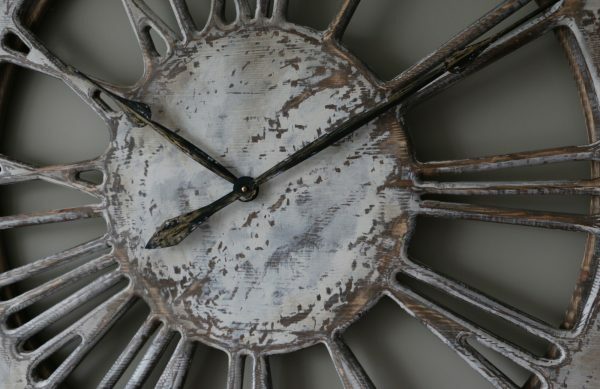 Our delightful white skeleton wall clock is a new member of shabby chic family. It can be ideal decoration element to your lounge or kitchen. All Peak Art’s wall clocks with empty back have beautiful three dimensional character. We achieved this by adding narrow rim to the clock face. Many people are looking for skeleton wall clock because it looks light and is easier to match many different interiors. Although the original design was 100 cm in diameter, you can select one of three different sizes from the drop down list. This lovely timepiece has so much character that it would attract attention of absolutely everyone around it. 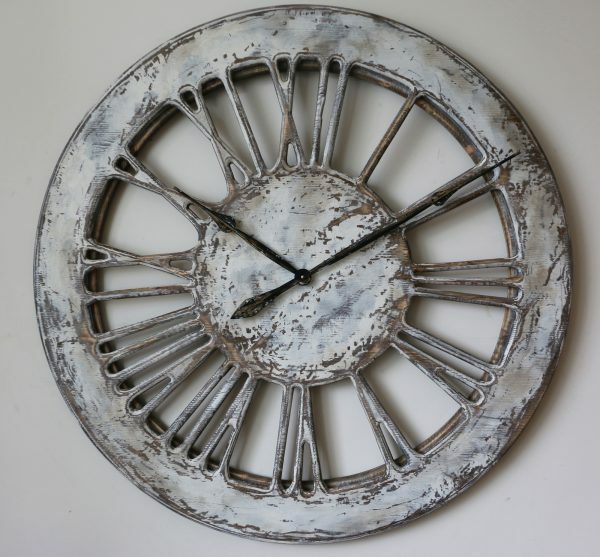 It is one of the most charismatic rustic clocks in our shop. It will suit people with sophisticated and expensive taste. We hand painted this piece exposing beautiful white roman numerals. Thanks to its hollow design you can mount it in many different interiors regardless of the wall colour. 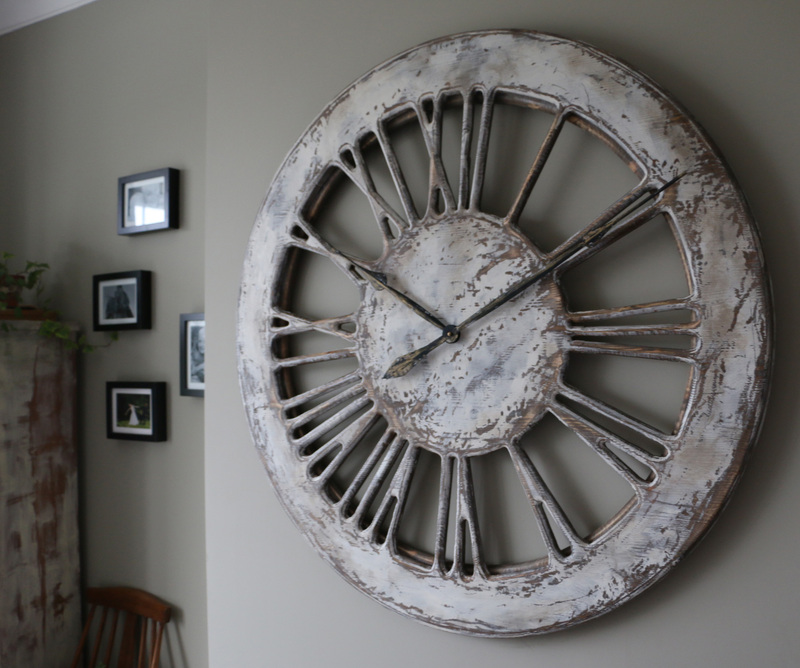 Most people searching for skeleton wall clock online don’t expect to see a work of art. What they normally have in mind are cheap metal clocks coming from the factories. We are changing the way people are looking at this niche market. The clocks from Peak Art aren’t just to show the time. They are remarkable decoration elements that bring character and wonderful spirit to your house. You won’t find any other skeleton wall clock made of wood that would look so amazing. 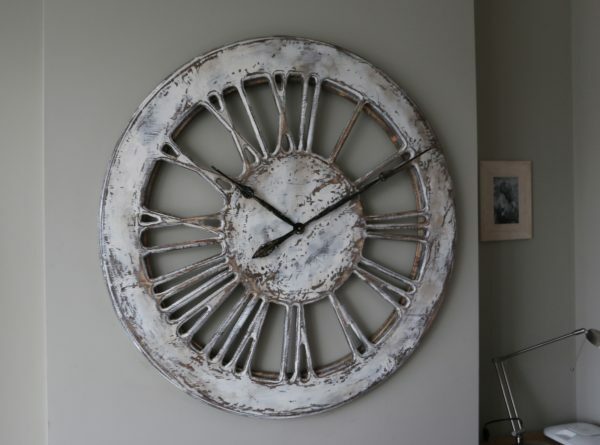 In fact you probably won’t find any wooden clock of this size displaying hand carved roman numerals. 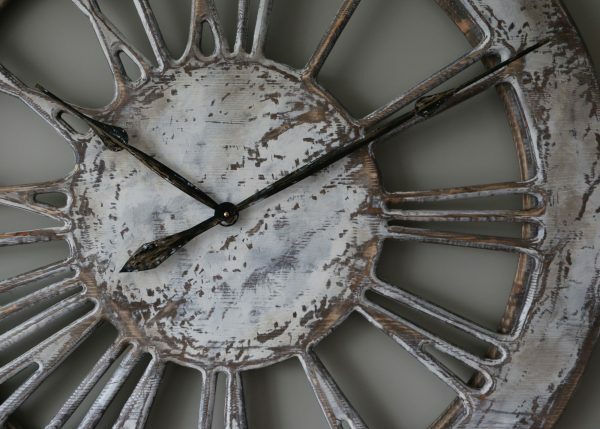 There are thousands of cheap skeleton wall clocks on the Internet but only at Peak Art you can find true uniqueness. Each of our timepieces needs a single C-Cell battery to power the mechanism. This battery should work for 9-12 months so you don’t need to worry about changing it very often. 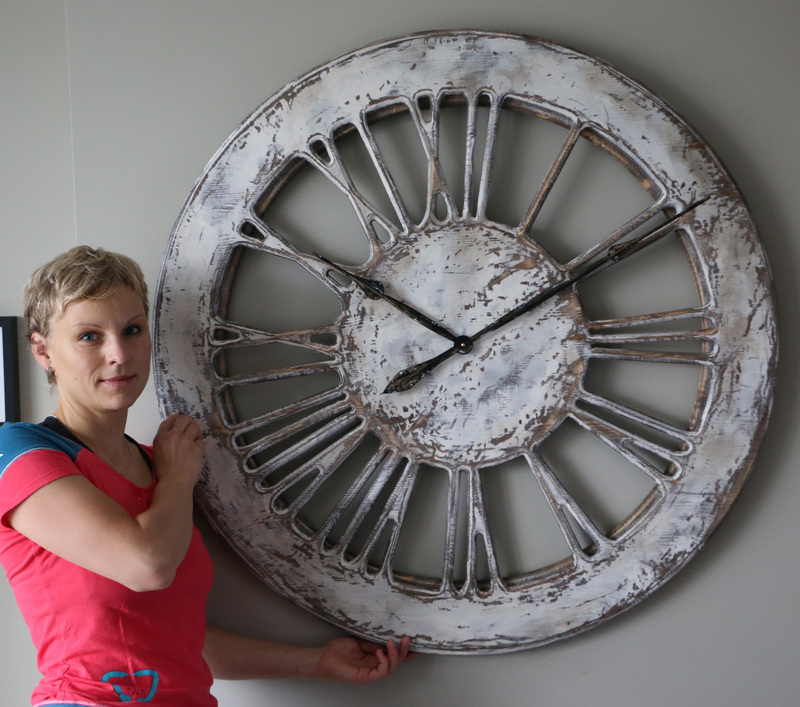 We deliver the clock with both hands detached to avoid any damage in transport. We also provide full instructions how you should attach the hands and set the time. If you want to find out more about our wooden skeleton designs please visit our blog and see how this idea was born. Join thousands of people in our Facebook Community and share your thoughts and comments.